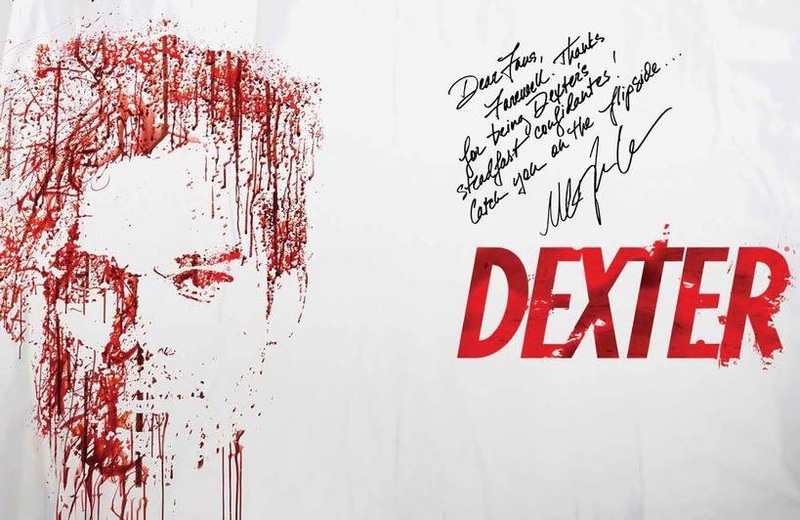 Sad as it may be, after all of eight years of blood-soaked brilliance, the end is in sight for everyone’s favourite serial killer, Dexter Morgan and his Dark Passenger. It’s been quite the rollercoaster ride and you’d give yourself a headache if you tried to remember almost a decade of the plot twists and turns we’ve been treated too along the way. To stop that from happening Showtime decided to bid farewell to the show with a retrospective video which, in a mere four minutes, pieces together all the major kills and thrills we’ve witnessed alongside the Bay Harbor Butcher and co. It is of course needless to say, the video is chock-a-block with spoilers so, if you have yet to catch up with the show, it is probably best to look away now. That’s the first rule of our code anyway. Whilst actor Michael C. Hall has decided to throw down the splatter expert’s gloves, fans can still enjoy his talents over on the big-screen as he is all set to star in the revenge thriller Cold in July, the Beat biopic Kill Your Darlings, and the crime drama I Fought the Law. 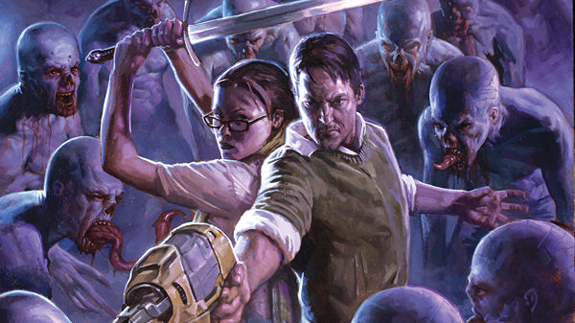 Following rumours AMC has now confirmed that there is indeed a Walking Dead ‘companion series’ in development from the hand of the the comic book creator Robert Kirkman. It certainly looks like AMC are all for making the most of a good thing as this comes hot on the tails of last week’s announced of the Breaking Bad spin-off, Better Call Saul which focuses on Peter Gould’s criminal lawyer creation, Saul McGill (AKA Saul Goodman) (Bob Odenkirk). 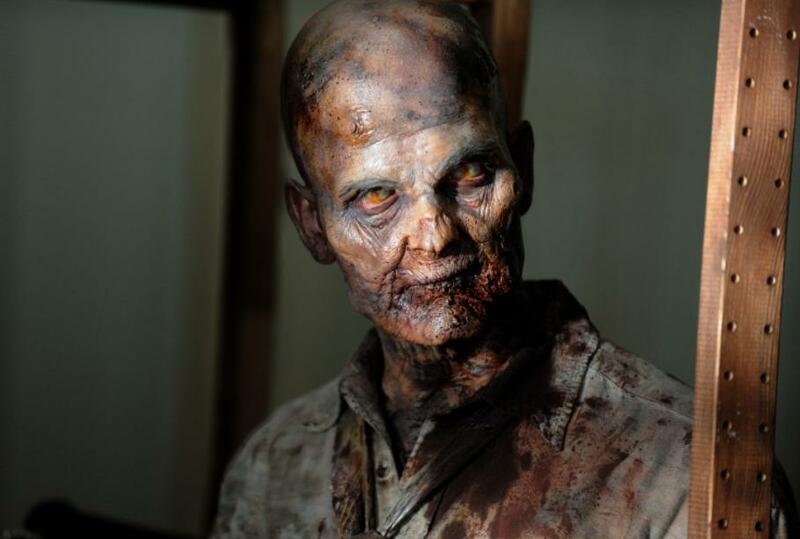 For the time being, fans of The Walking Dead can rejoice as season four kicks off on Sunday, October 13. 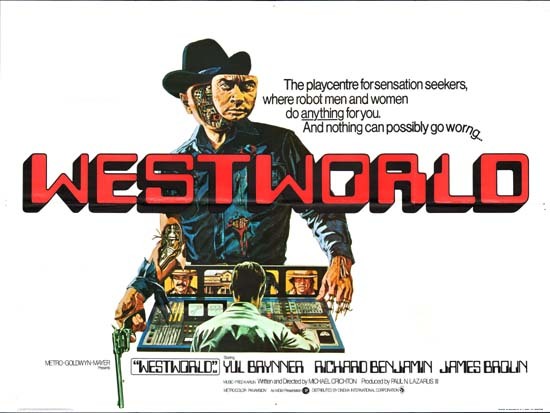 And another ’70s cult classic film is getting the television series revival treatment as HBO has raised a pilot order for a remake of 1973’s Westworld with The Dark Knight scribe Jonathan Nolan directing, and co-writing together with Pushing Daisies’ Lisa Joy, under the executive production of Bad Robot partners J.J. Abrams and Bryan Burk. The original film, written and directed by Michael Crichton, starred Yul Brynner as an android in a futuristic Wild West theme park. This isn‘t Nolan first foray into the world of television as he is currently acting showrunner on CBS’ series Person of Interest, which he also helmed for one episode. So far it all sounds like a great high-profile project to look forward to but you know all too well how hard it is for projects to get picked up based on the cast and crew alone so we’ll have to wait to see if the finished pilot can compete against the ever-growing list of new series hitting the small screen. Given the success of HBO’s Game of Thrones a new high-profile science-fiction show like Westworld would certainly hit the mark. 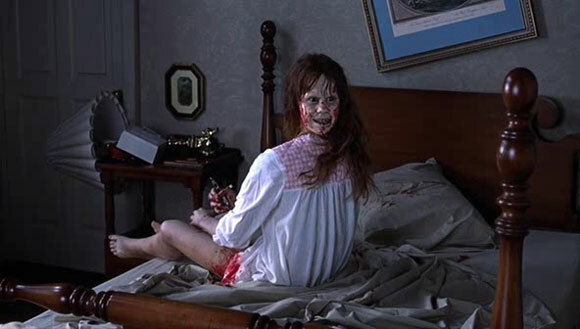 It’s hard to believe but it’s been 40 years since the release of the horror classic that was, and still is, William Friedkin’s The Exorcist and people still van’t get enough of it, even to this very day. Last year Morgan Creek tried to shop a ten episode Exorcist television series penned by Sean Durkin but it failed to rouse any real interest. Now, in the light of succesful horror shows such as Hannibal and Bates Motel, both picked up for a second season, the studio hasn’t lost hope and are said to be re-shopping the series with a different script writer. The new adaptation comes from the hand of relative newcomer Jeremy Slater, currently writing the FANTASTIC FOUR reboot and, by the sounds of it, he is onto something as interest is reportedly coming out of various broadcast and cable network television camps. 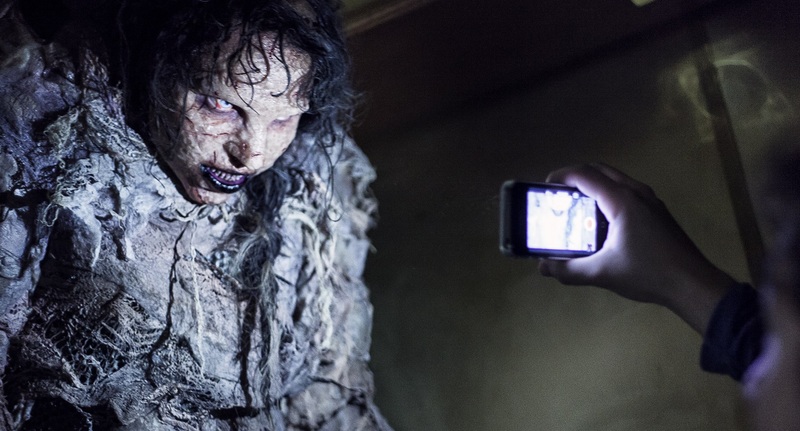 Roy Lee, executive producer of the aforementioned Bates Motel series and hundreds of horror feature films such as The Ring, The Grudge and The Eye, is attached to exec. produce, as he was when Durkin was involved. Although little else is known in relation to the proposed adaptation of William Peter Blatty‘s best selling novel, given the number of existing horror series currently flourishing on the small screen, it was clearly only a matter of time before other horror franchise TV adaptations stepped forward. 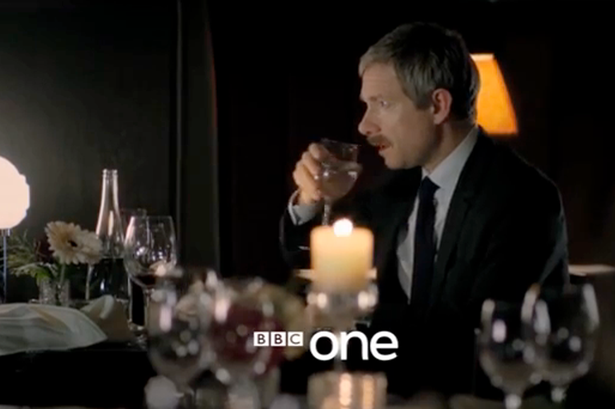 Sherlock Holmes (Benedict Cumberbatch) is revealed to be alive and kicking after his presumed death fall, whilst his partner in crime John Watson (Martin Freeman) finally grows the character’s infamous moustache. If you followed the recent Sherlock panel at July’s Comic-Con you will be well aware of the above details as executive producer Steven Moffat premiered an exclusive scene featuring Sherlock delivering his best man’s speech at Watson’s wedding and also announced that the premiere episode would be “The Empty Hearse,” focusing on Watson coming to terms with Sherlock’s faked death. It has also since been revealed that Lars Mikkelsen will be playing Sherlock’s next arch enemy, Charles Augustus Magnussen. Lars is a Danish actor, and brother to one of Nicolas Winding Refn’s faves, Mads Mikkelsen, who we recently enjoyed see slipping into the shoes of none other than Hannibal Lecter for the TV series Hannibal. Lars most recently played the troubled politician, Troels Hartmann, in the television series Forbrydelsen, now adapted in the US as The Killing. We’ll leave you with the aforementioned teaser trailer. Further to this reveal, it was also announced that 24: Live Another Day will premiere in May alongside an all new FOX drama series Gang Related. 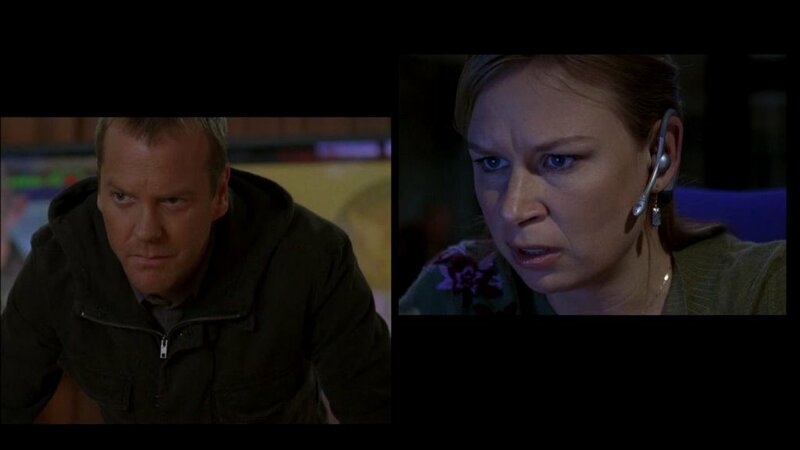 Good news for 24 fans was the news that Mary Lynn Rajskub will be back as everyone’s fave tech guru Chloe O’Brian, a role she played from the third season right up until the show ‘ended’ in 2010. 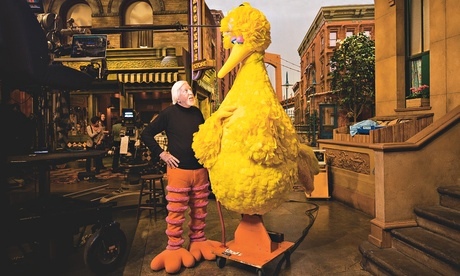 Commenting on her return she said “I am thrilled to be working with Howard and the writers again. And of course, Kiefer [Sutherland]!” and she even confirmed that she is currenty “sharpening [her] computer skills” to prepare for the next season. With Twitter and Facebook still going shark crazy following Syfy’s crazily popular Sharknado over the weekend yet another creature feature is on its way. The channel will premiere an original film, Ghost Shark on the 22nd of August. This news comes hot on the tail of Sharknado’s broadcast on Syfy and writer, Thunder Levin’s confirmation that a Sharknado sequel was already planned well before the first film aired. 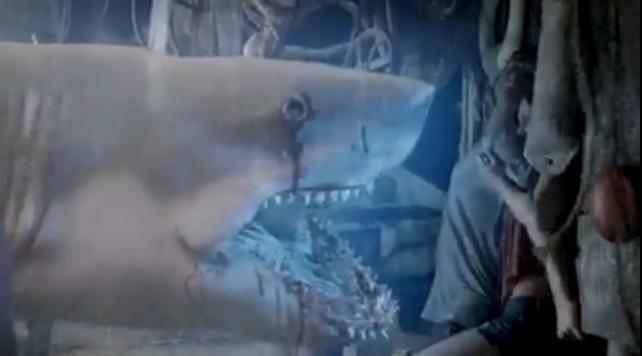 Thomas Vitale, EVP of programming and original movies, has announced that the new film was in fact inspired by something his young daughter came up with and he also suggests the ghost shark does have “a logical reason” to it – as tends to be the case with Syfy movies, right? As we have come to expect, the trailer hints at more amazing amounts of state-of-the-art CGI and Oscar winning performances. Fans of Sharknado can expect more of the same soon as Levin is currently working on a number of projects such as the action-thriller Shadows of the Jungle, which he has described as “Indiana Jones meets Cat People and Apocalypto.” Enough said, once again. We’ll leave you with a sneak peek of Ghost Shark starring Mackenzie Rosman, Richard Moll, Tim Taylor and Lucky Johnson. A Sharknado beater? We’ll let you decide. 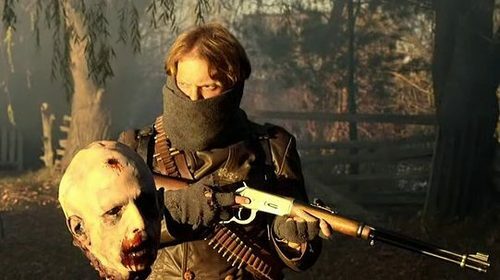 There’s also a nice surprise Tweet for UK Syfy fans below the video. 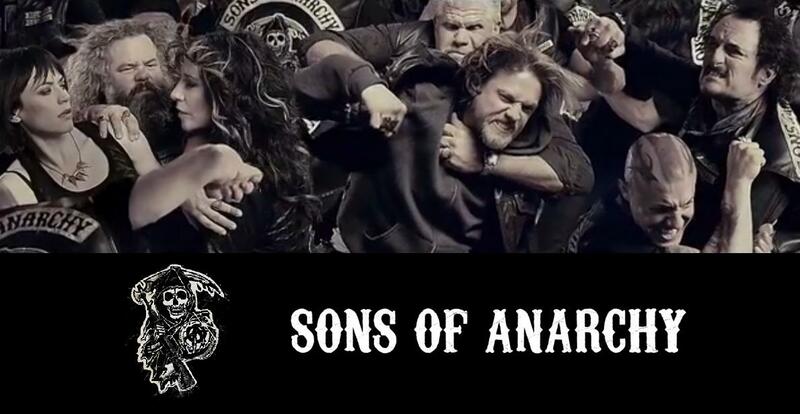 With internal tension coming to boiling point in Charming at the end of season five of the hit series Sons of Anarchy, all eyes are looking to Comic-Con this year as the full cast and showrunner, Kurt Sutter will be putting in an appearance on July the 21st. So what can we look forward to next season, scheduled to air September the 10th? In brief: Further to yesterday’s news that Sean Astin had been signed up for a role in Guillermo del Toro’s FX Drama Pilot The Strain, Pacific Rim actor Robert Maillet has now been cast to play the main Strain villainous vampire The Master. The Canadian former wrestler and actor, playing Lt. Kaidanosvsky in del Toro’s Pacific Rim, joins the ever-growing ensemble cast for the pilot being eyed for a 13-episode pickup by FX. In the novel of the same name, The Master flies over to New York from Europe aboard a plane to initiate his plan to take over the world. Francis Capra (Eli ‘Weevil’ Navarro in Veronica Mars) has also been signed on to play Crispin, a mid-30s shyster always intent on finding the easiest and highest-paying escape from every situation. Should the pilot be picked up, both Capra and Mailler will play recurring roles in the series. Carlton Cuse (Producer/Writer – Bates Motel, Lost) has tweeted details that actor Sean Astin has signed on for the Guillermo del Toro/FX pilot episode of The Strain. We are thrilled to have the amazing Sean Astin join the cast of THE STRAIN. Del Toro is attached to direct the pilot and is also co-writing with author Chuck Hogan, adapting the show from their successful trilogy of vampire novels. The story follows Dr. Ephraim Goodweather (, head of the Centers for Disease Control Canary Team in New York City. 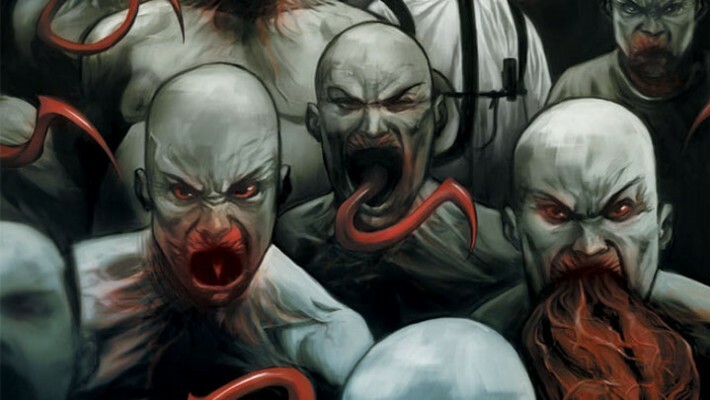 He and his team investigate a mysterious viral outbreak with hallmarks of an ancient and evil strain of vampirism. The high-concept vampire drama series, already boasting a top notch cast of Corey Stoll (playing Ephraim Goodweather), Mia Maestro and John Hurt, adds Astin to the list to take on the role of CDC team administrator, Jim Kent, the third member of the Canary Team triumvirate. Although best known for his roles as Mikey in The Goonies and Samwise Gamgee in The Lord of the Rings franchise, Astin is no newcomer to the world of television having taken on long-term roles in series such as 24 and Jeremiah. Cuse is executive producing the pilot and will oversee the project with del Toro. Providing the pilot is picked up for a full series, he will serve as showrunner.